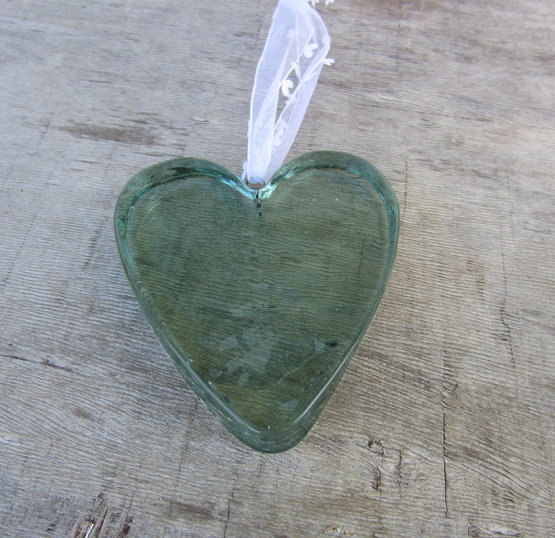 Heart shaped green glass ornament dazzles in the sunlight. 5" tall, 4.25" wide, .75" thick. Recycled glass. Shown using "Heart Edge Organdy Ribbon", also available here on my website.